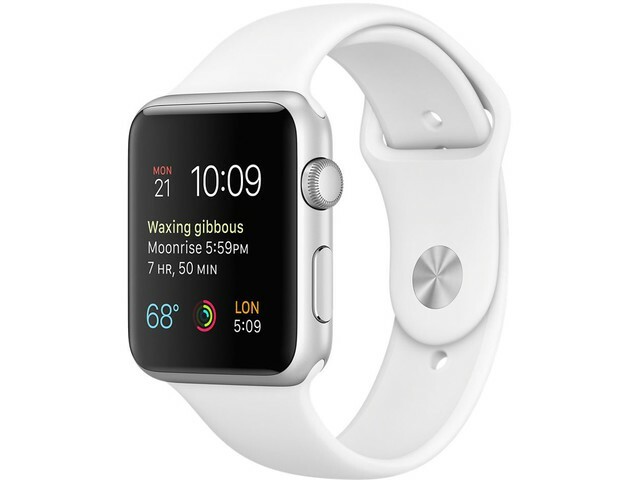 Apple Watch Sport is the tech giant’s answer to wearables for an active lifestyle. Choose from a 38mm or 42mm gorgeous anodized aluminum watch in four beautiful finishes: Space Gray, Silver, Gold, Rose Gold. Then customize your Watch with a sport band or woven nylon band watch strap in a huge range of colors and styles.